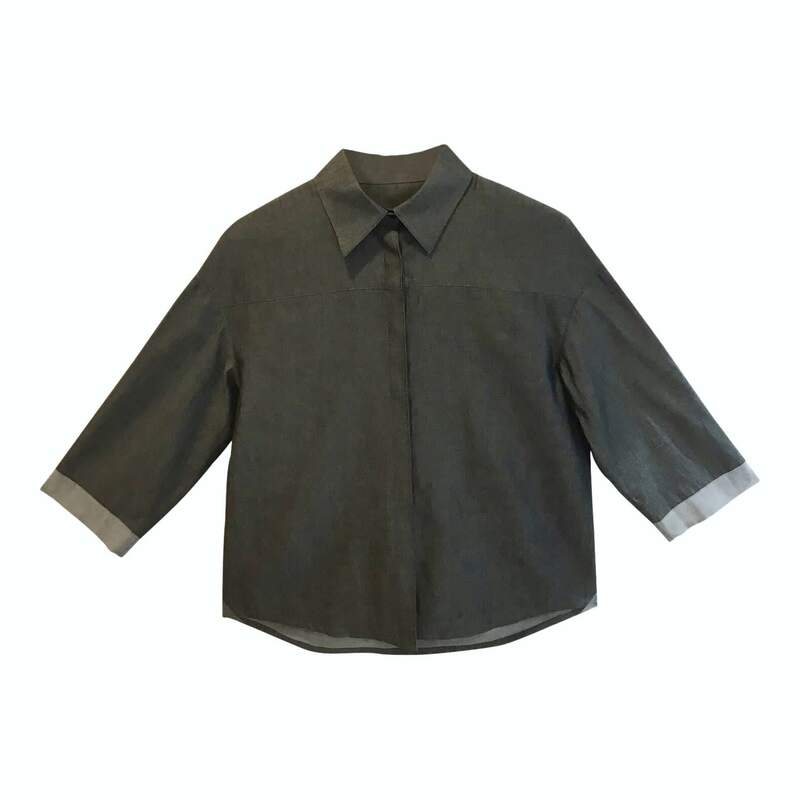 Inspired by architecture and Japanese aesthetics, this oversized shirt is made from coated cotton which has a glossy quality. The shirt has hidden buttons all the way down the front and fold detail on the sleeves. Pair it with a matching pair of trousers or jeans.